Novel Craft is the second of three craft beer places in Chitosekarasuyama that I'm going to put on here. The first was Beerttoria Miagolare and the next will be Ann's (but it was closed on the night I tried to tick all three of these off). 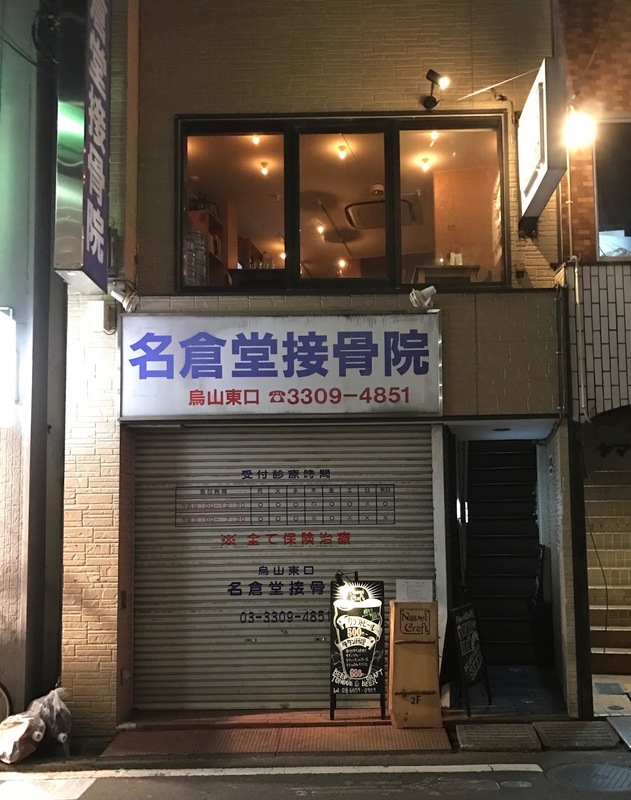 I went there with some apprehension, as I'd heard it has a cover charge and it describes itself as being all about beer and beef tongue (half of which is not much good for me). It was a pleasant surprise though. Here are the details. - Quite narrow room with a counter seating around eight and one other table for two as far as I could see. The decor feels quite fashionable, the place is a bit snazzy and they were playing kind of trendy music. The lighting is dimmed and it has a late night place vibe to it. And it is open till quite late, so if you are a night owl, this is the place for you. - Six taps of craft beer, four of which were Japanese and two imports. The Japanese stuff was quite interesting, for example Barbaric (first time I've seen that on and it was very nice). Beer is served in three sizes, 200ml, 300ml and 600ml. Prices ranged from ¥500-650, ¥700-900 and ¥1350-1700 respectively. Once again, not the cheapest, especially when you consider there is a cover charge too. - From opening till 20:00, they don't charge you a cover charge and you get a free appetizer. After that time though, you'll be paying ¥300. The staff were friendly and it was a nice experience, but unfortunately, (for me at least), it allows smoking. I have to say, I liked it more than I had expected to. But, one big drawback for me would be the smoking. I was lucky that no-one was smoking when I was there, but this would make me think twice about visiting again. As has been the case with a few places I have been recently, the prices were a little on the high side. I would have thought that with the large amount of places around now, prices might be going down rather than up. But maybe the limited amount of craft beer drinkers is just getting spread thinner and consequently bars have to charge a bit more to stay in business. As you can probably guess, I'm not a businessman, so have no real insight, but it's not exactly the trend I might have been wishing for.